We represented a tenant who was discriminated against by her landlord solely due to her cancer diagnosis and status as a cancer survivor. Our client was diagnosed with ovarian cancer and colon cancer and had been treated with 2 surgeries and 12 rounds of chemotherapy. While our client was undergoing chemotherapy treatment for her cancer, she was unable to work and did not have an income, forcing her to work out an alternative payment arrangement with her landlord. Once she completed her treatment, our client ultimately paid her landlord all that she owed in arrears. However, weeks after the apartment building was sold to a new owner/landlord, upon learning of our client’s medical history, this new landlord suspiciously refused to honor the lease that our client had signed. In fact, rather than honoring the lease our client had already signed, the new landlord instead offered her a short-term lease at a rent of $700.00/month more than our client had been paying on her current lease. The new landlord also demanded that she pay the total rent amount for the entire term of the lease up front because, according to the new landlord, it was worried that our client might fall behind paying rent in the future if her cancer returned and she had to undergo additional treatment. This landlord was essentially admitting that it was offering her a lease under different terms than all other tenants solely due to her cancer. While there were other tenants in this same building that also had a history of rent arrears, the landlord had not offered any of these other tenants short-term leases with accompanying rent increases and new payment terms. Because our client was unable to pay according to the terms of this new unreasonable lease, the landlord initiated a holdover action/eviction proceeding against our client. The landlord’s purported reason for offering our client these new lease terms was due to her tenant history. However, the landlord knew of our client’s payment history at the time it purchased the building and never offered our client a new lease at that time. Instead, the landlord first contacted our client and began negotiating the terms of the new lease when it learned of our client’s cancer for the first time. 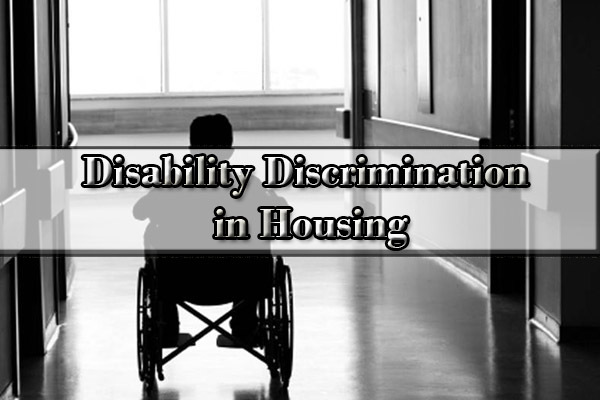 At the time the landlord offered our client this new lease, she was not in arrears, making it clear that the landlord’s concern was based, in part, on the landlord’s own prejudices and fears related to our client’s disability. It was obvious to us that this landlord had treated our client differently than all other tenants solely due to the fact that she was a cancer survivor. It was our opinion that but for the fact that our client had been diagnosed with cancer, the landlord would not have offered her a new lease and would not have ultimately initiated holdover proceedings against her. We successfully mediated this case and obtained a significant settlement for our client, part of which was a donation to Sloan Kettering. If you have any questions, call for employment lawyers NYC free consultation.